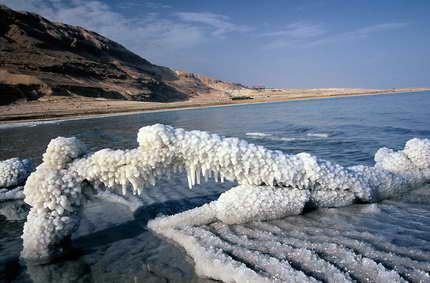 Located on the borders of Jordan, Israel and Palestine, the Dead Sea is the saltiest sea on our planet. Fueled by the Jordan, it has for thousands of years the effects of the sun and concentrating the salts and minerals in the water. skin care (eczema, psoriasis ...), body (muscle and joint pain) and mind.